I'm playing along with The Spring Coffee Lovers Blog Hop. I shouldn't be here - I don't like coffee, in fact I hate it. But fortunately for me and other coffee haters (I can't be the only one, can I?) the hop is open to tea drinkers as well. I have very few coffee-related stamps, which isn't surprising, but I don't have many tea-related stamps either, which is surprising. This stamp is from an old Kanban set. I inked it up with Distress Inks and spritzed it, then stamped it off the edge of the card. I sloshed some watered-down ink for a base, and added some splatters (yay!) and a sentiment. 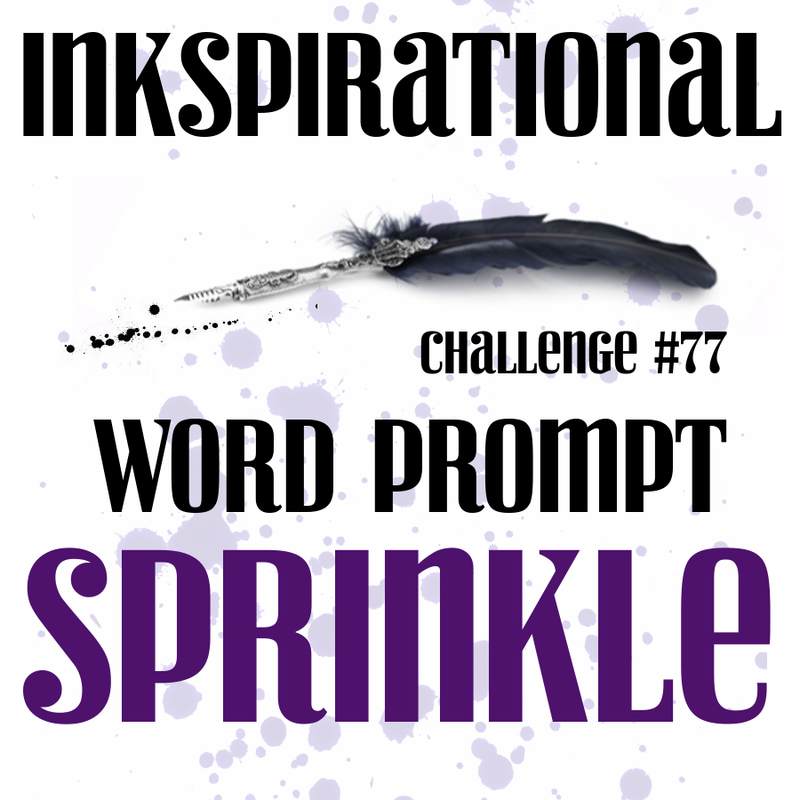 And Inkspirational - Sprinkle. I'm hoping that splattering also counts as sprinkling! Wow! I love your card! I love how the teacup is only half on the front of the card and your watercoloring techinque turned out beautiful! Gorgeous CAS card!! Wow, this is gorgeous! Fabulous CAS design and beautiful watercolour technique! Shirley this is absolutely stunning! This would make anyone better! This is so pretty! Love the teacup! Gorgeous card, Shirley! I love the effect of your inking and spritzing and the splatters are perfect! Shirley...this is just beautiful!!! Looks so real, incredible card. Lovely - that partial stamping and the colorful shadow! Well, this is perfect! I love that tea cup! Your card is gorgeous! I love the variation of ink colors! So pretty, love the cup. Wow this is stunning love the design. Wow, this card is stunning! I love your watercoloring! 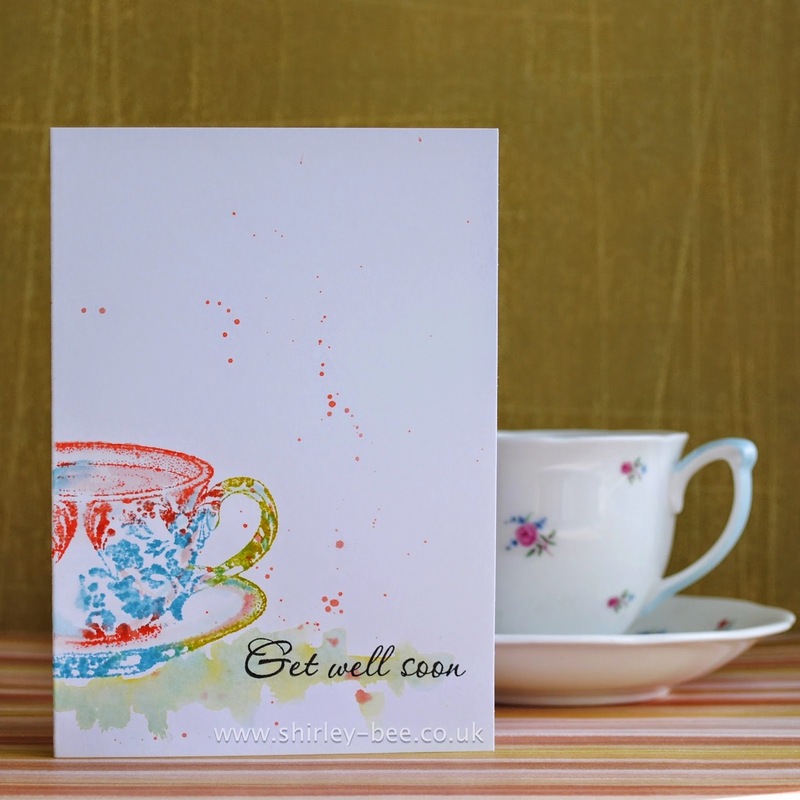 A gorgeous CAS card and love how you've photographed it with the china cup and saucer. FABULOUS. Thanks so much for sharing and taking part. Your tea cup is divine!! Beautiful, Shirley, love how you cased the cup to make this card! Happy Wednesday and happy hopping! I love a little sploshing of paint too! "simply" wonderful…..I love this card in it's simplicity! what a beautiful card! I love tea AND coffee. just depends on my mood and the weather! WOW, super stunning and wonderful! I love your inspiration. Beautiful way you stamped the cup, love this CAS card! Love this card, especially the sploshing of w/c! Shirley- this is so beautiful ! Stunning! Wow... this is a beautiful card! I like your use of color with the cup. Great skill and great use of "sprinkles!" Your design here is very clean and unique. Thanks for playing with us at Inkspirational!